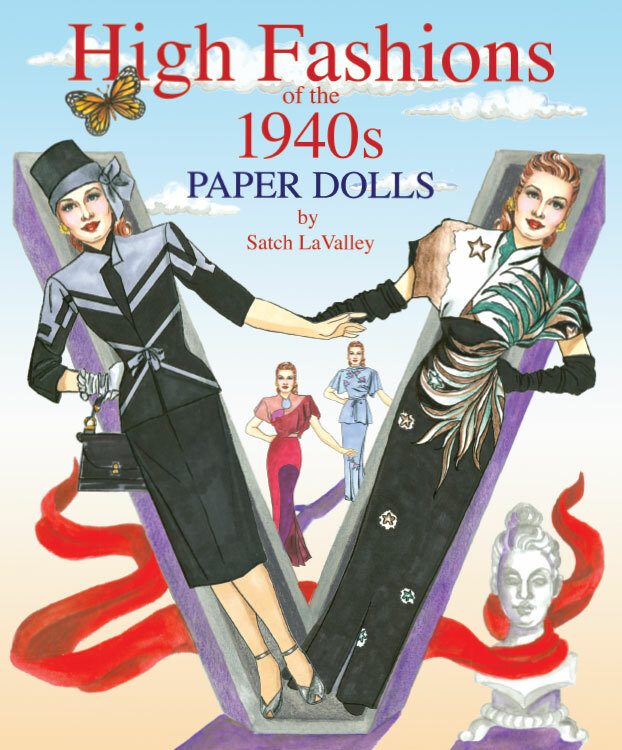 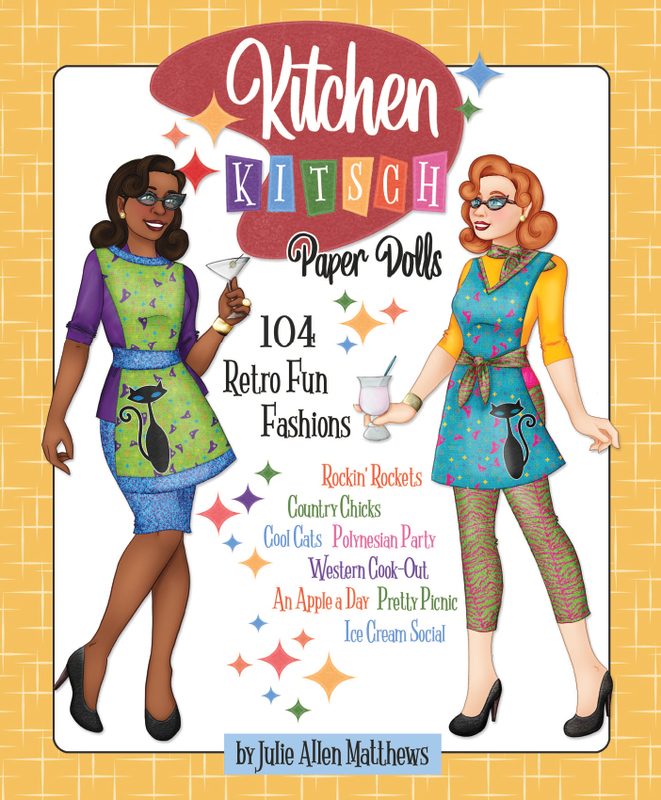 Introducing the latest edition of Jim Howard's COUTURE series of paper doll books beautifully presenting high fashion, decade by decade. 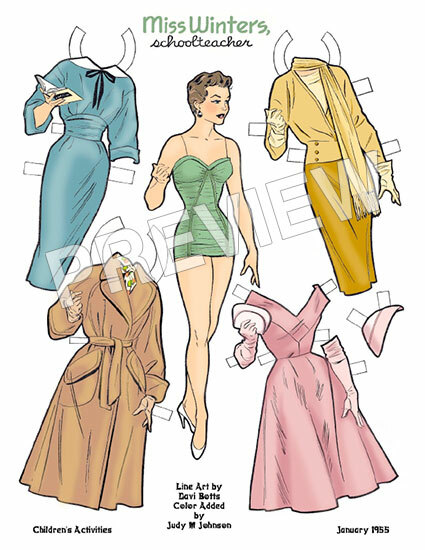 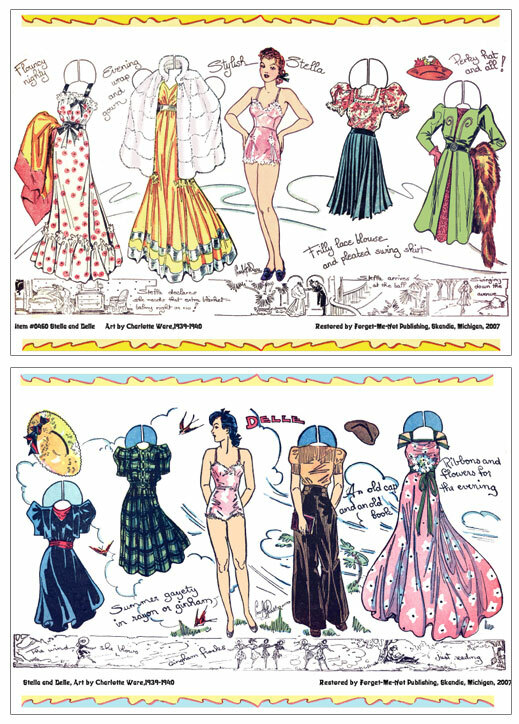 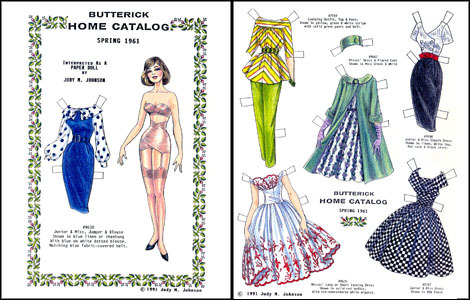 The 1940s saw fashion designers in Occupied Paris struggling while American fashion learned to stand alone. 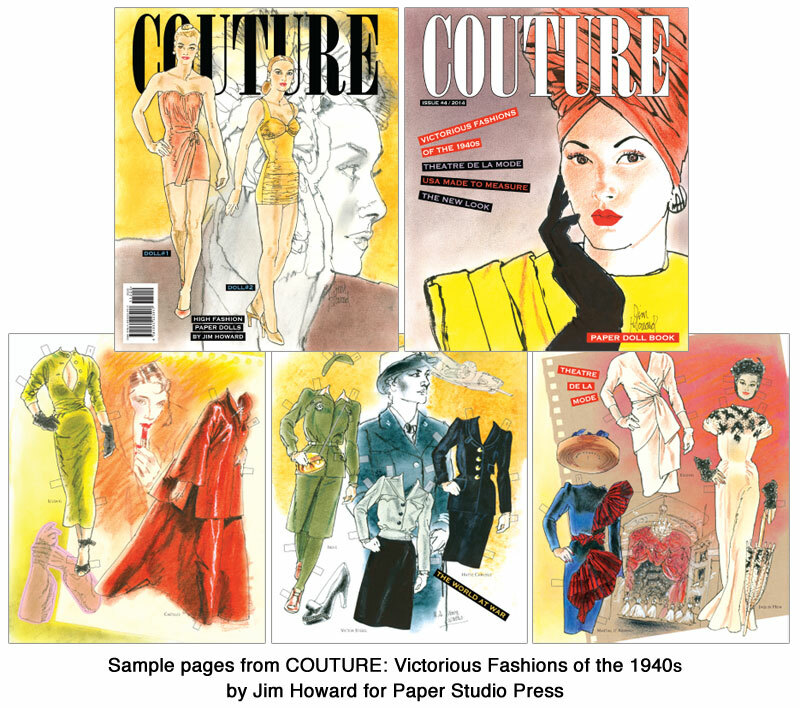 This dramatic decade is illustrated with creations by Hattie Carnegie, Pierre Balmain, Adrian, Christian Dior, and others. 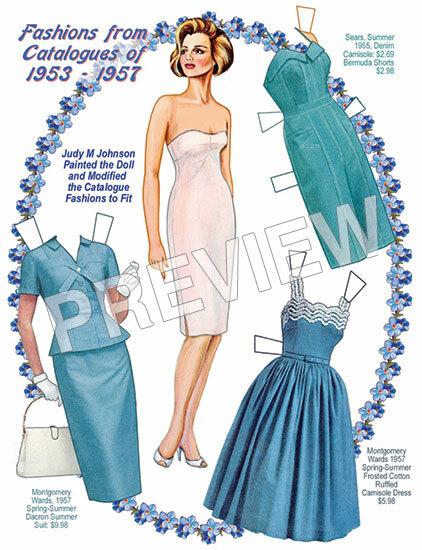 Pages are devoted to uniform-inspired style, the Theater de la Mode and The New Look. 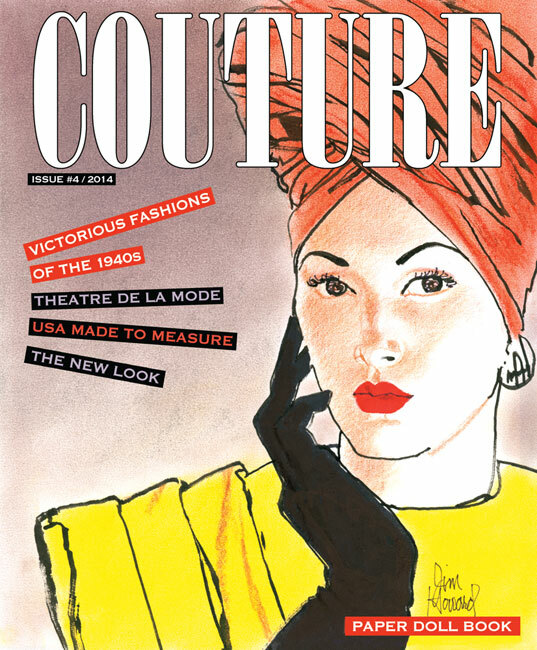 Two models dress in the fashions that reflect one of the most historically important decades of the 20th Century.